22 to 29 Jun - Explore the Northern Lake District, an area famous among cyclists. It makes a perfect ride, but also has a lot to offer in-between. 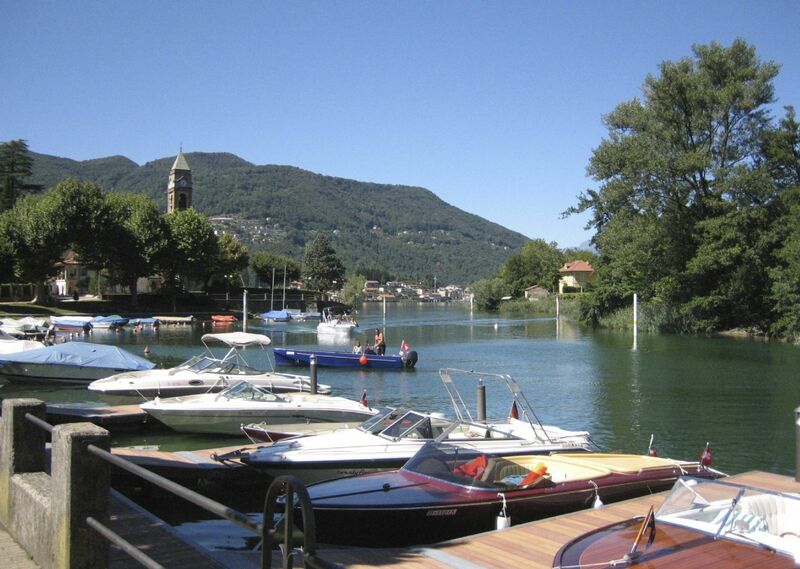 You will enjoy lakeside towns such as Bellagio, Sarnico and Riva del Garda. 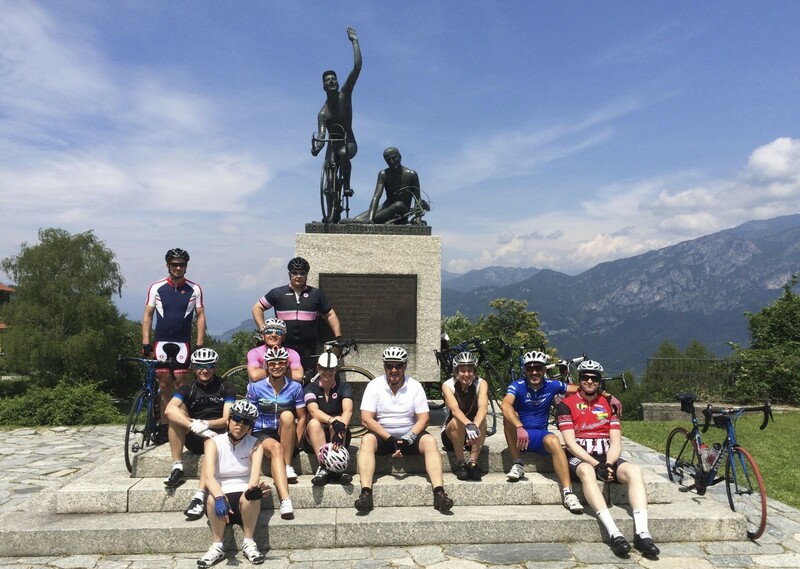 A superb road cycling holiday in Italy which explores the Northern Lake District, an area synonymous with cycling history. 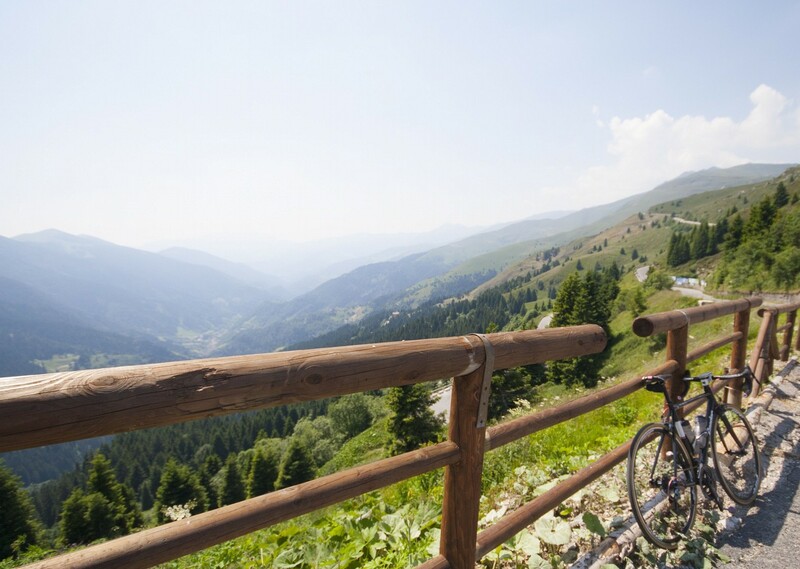 The Giro d’Italia almost always visits the region and, perhaps even more famously, it is the setting for the Tour of Lombardy, or 'the race of the falling leaves', the autumnal one day classic which, each year, marks the end of the pro cycling calendar. 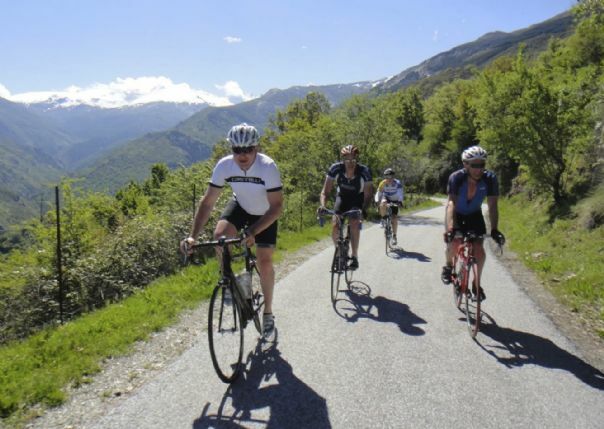 Focusing on the lakes and the alpine foothills, or 'pre-alpi', our own Tour of Lombardia has been designed to appeal to discerning cyclists who like to combine their riding with the finer things in life such as good food, fine wine and stylish accommodation. 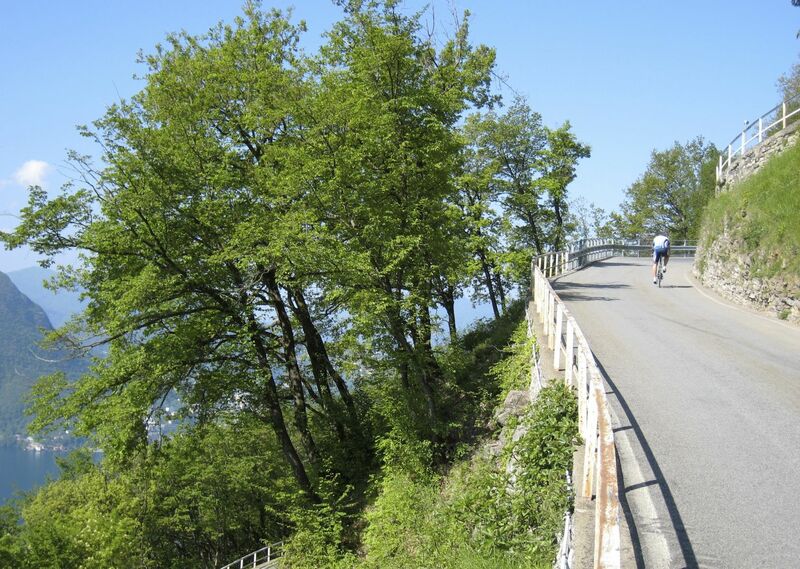 Our route through the Italian Lake District is not without challenges but it is thoroughly rideable and will take us into some of Italy’s most idyllic scenery. 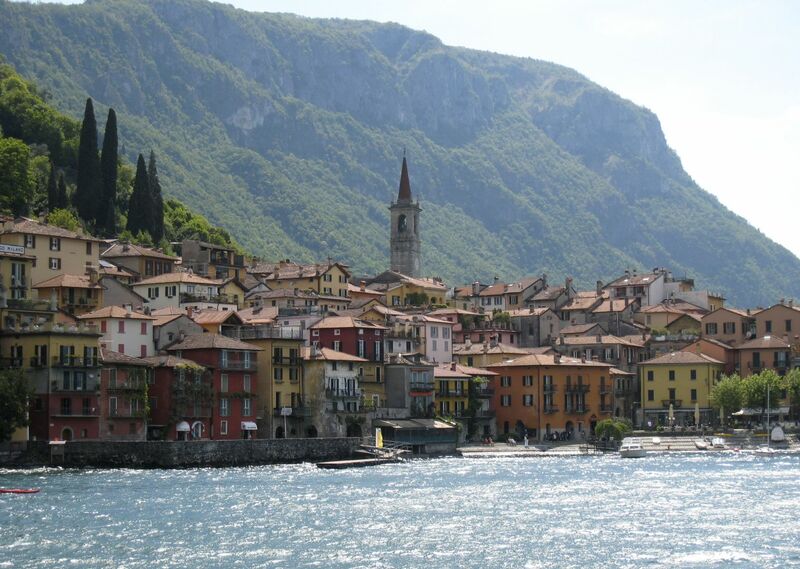 Evenings will be spent in classic Italian style in lakeside towns such as Bellagio, Sarnico and Riva del Garda, assuring us of beautiful views to wake up to each morning! Upon arrival we transfer to Angera on the shores of Lake Maggiore where we spend our first evening. The region is renowned for its mild climate, lush vegetation and regal architecture. 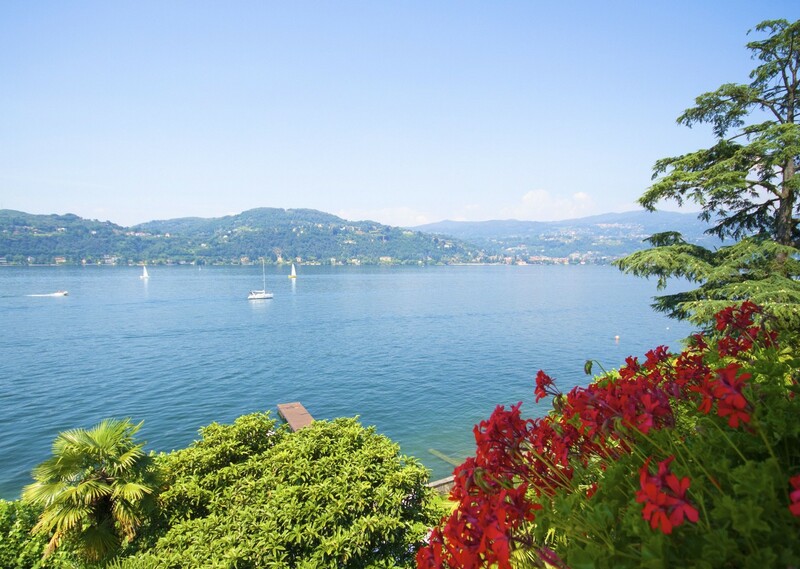 Maggiore is Italy’s second largest lake and set against the resplendent backdrop of the Monte Rosa Massif, a stunningly beautiful starting point for the tour. 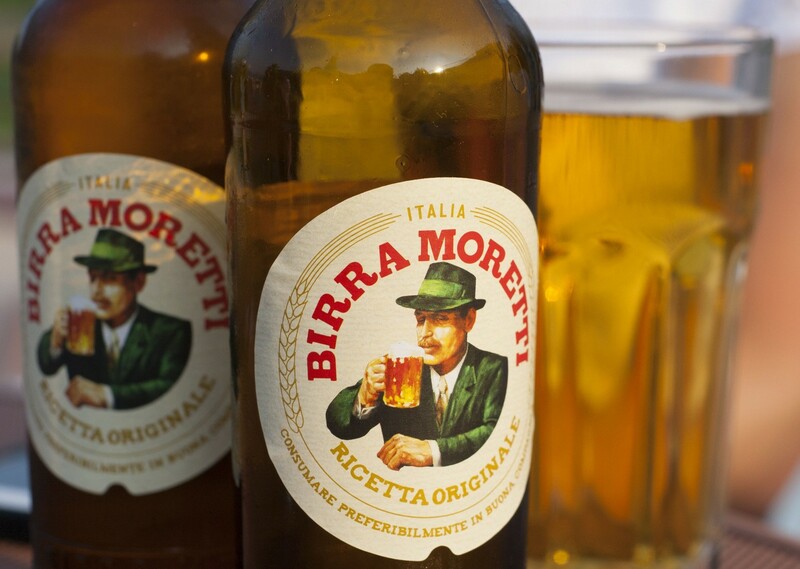 The following day we will enjoy a brief visit to Switzerland as we make our way to Cernobbio on the shores of Lake Como. 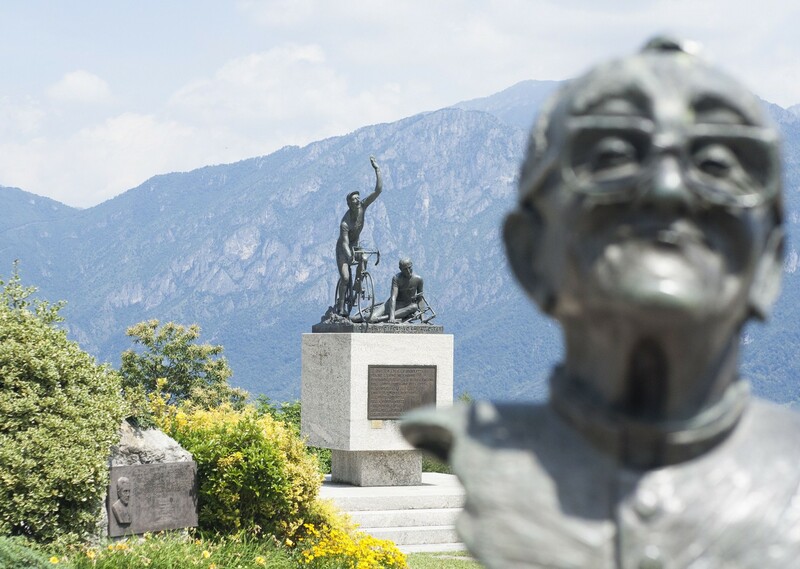 No cycling trip to Como would be complete without a visit to Madonna del Ghisallo, the famous hilltop cyclist’s shrine and the fascinating museum which accompanies it. More superb riding follows as we make our way to our ultimate destination on the shores of Lake Garda where we will enjoy our final evening. I had a wonderful time with the tour. Many thanks! Both Nicola and Lieven were amazing. Both on the bikes, riding and in all aspects of support. Always with a smile. Great job boys. They truly made the holiday. I felt safe on the busy roads and was really well fed!! San Pellegrino – Sarnico It had everything – ferry trip, short sharp leg warmer, a long, long climb through stunning Italian villages, an amazing downhill (I enjoyed the downhills) and then a great pace line through the twisting lake side tunnels that felt like the final miles of Milan San Remo to our hotel at lake Iseo. 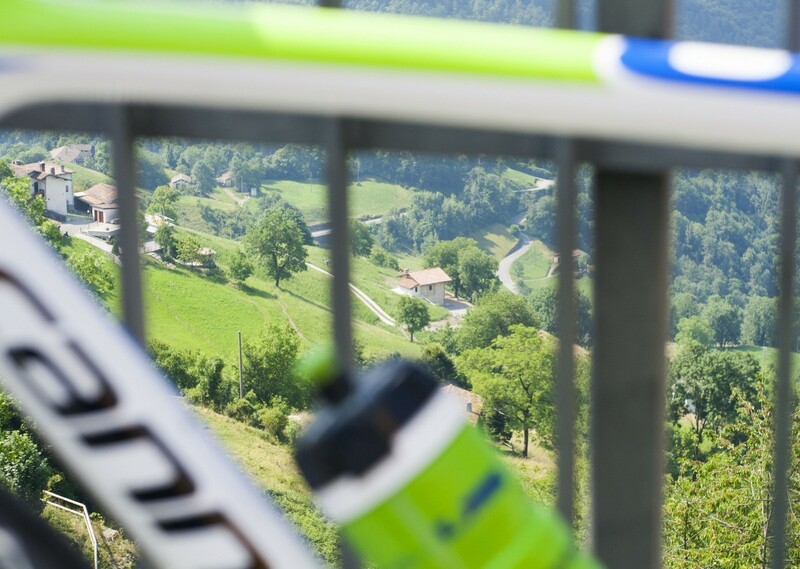 I would have absolutely no hesitation in recommending Skedaddle and in particular the Lakes of Lombardy trip to another cyclist. I met some amazing people and saw some stunning sights, and have memories that will last forever. The documentation provided and regular contact points meant I knew what was going to happen and when, how much had been paid, what was outstanding, when I was flying, what to expect out there, and my expectations were handled perfectly. The holiday was extremely well organised throughout. We had a fantastic time and now we‘re looking forward to our next holiday with you. We sampled great company, stunning scenery, wonderful food and good accommodation. Every day was different but all of them thoroughly enjoyable. The information provided was excellent. All in all very good value for money! Everything was excellent: bike, lunches, diners, locations, guides etc….were at the usual Skedaddle level – unbeatable! Rides, hotel, food all good. My feeling is Naomi (tour guide) just about always get it right in leadership and organisation. The cycling was wonderful – and proved just the challenge I was after. The hotels were first rate which was great after a hard day in the saddle. The guides all spoke English and were extremly helpful and supportive. All of the days on this trip were excellent. Our guides Naomi and Christina were excellent too! Our guides Naomi and Christine were a great combination of skill, attentiveness and personality. They would be my top choice for guides on any holiday. David, Adam and Kerry in the office were all excellent. Very helpful and responsive. The tour does exactly what it advertises itself as. 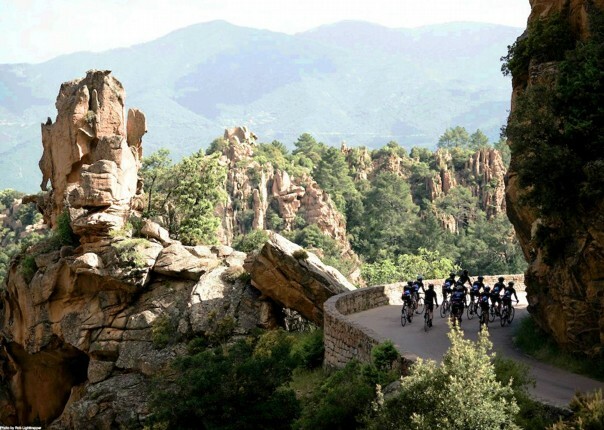 The route of the tour was fantastic, delivering some challenging riding in spectacular surroundings. The climbs on all days were enjoyable; especially up to S.Pietro and to Maniva. The traverses/descents through the gorges were great and obviously along the lake shores as well – bike paths were also interesting and relaxing. The tour leader was really great and she dealt most admirably with the group dynamics. The hardness of the climbing was about what I was looking for – not super hard, but challenging, and some really fun descents. I was a little nervous about hiring a bike, but I was really happy with the bike I got. We didn’t know what to expect, having never done a group cycling holiday before. 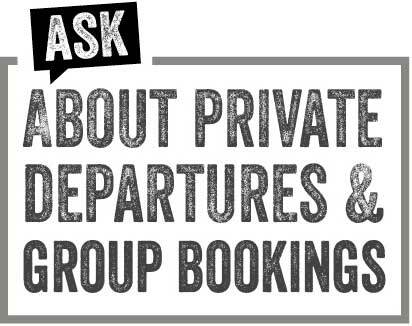 The service was outstanding – guides were both organised and reassuring. Naomi is a great guide and organiser. Very enthusiastic about her job, which is always a pleasure to see! I loved the cycling! The pass to the coffee stop on top with the band playing was very memorable. Naomi’s lunches are deservedly legendary. We had some great meals. Especially in Bellagio and Riva Del Garda. Fair prices too. Nothing phased Massimo. He’s a delightful man and a very good cyclist. I tried to catch him up a couple of climbs but he always had that bit extra. I received all the pre-trip information I needed and the pre-departure call from David is customer service as it should be. Superb tour leader! Vanessa was incredibly professional, and ensured everyone understood the routes, how to regroup, and the stops during the day. She made sure everyone completed each day safely, yet still had an excellent ride covering all abilities. Vanessa was a fantastic tour lead, with a dry sense of humour and always charming. She made certain no stone was unturned in making sure that everyone was very well looked after. I would go so far as to say that this is one of my favourite ever holidays! There wasn’t a single problem with hotels, meals etc. Lunch’s etc were efficient and delicious – although having seen pictures of Vanessa’s lunch’s – I’ll have to come back for one of those! 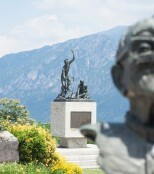 The post Stretching the legs in Lombardy appeared first on Skedaddle Blog.